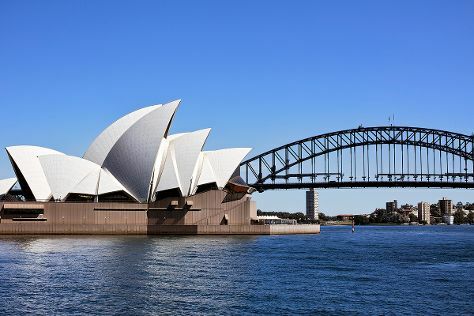 On the 6th (Thu), trek along Bondi to Coogee Beach Coastal Walk, then catch a live performance at Sydney Opera House, then snap pictures at Sydney Harbour Bridge, and finally admire the natural beauty at The Royal Botanic Garden. Get ready for a full day of sightseeing on the next day: wander the streets of Darling Harbour, contemplate the long history of Elizabeth Bay House, then appreciate the history behind Mrs Macquarie's Chair, and finally get to know the fascinating history of The Rocks. To find out how to plan a trip to Sydney, use our trip itinerary maker. Use the Route module to find travel options from your starting location to Sydney. In December, daytime highs in Sydney are 32°C, while nighttime lows are 21°C. Finish up your sightseeing early on the 7th (Fri) so you can go by car to Canberra. 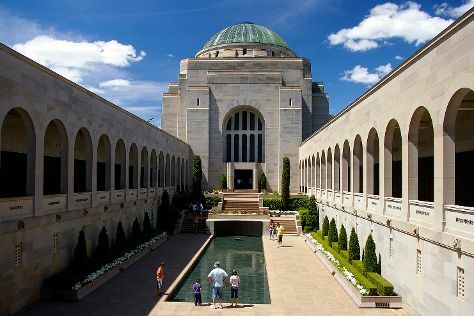 On the 8th (Sat), take an in-depth tour of Australian War Memorial, then don't miss a visit to Mount Ainslie Lookout, then explore the world behind art at National Gallery of Australia, and finally ponder the world of politics at Parliament of Australia. To see reviews, traveler tips, photos, and tourist information, refer to the Canberra journey builder tool . Getting from Sydney to Canberra by car takes about 3.5 hours. Other options: fly; or take a bus. Traveling from Sydney in December, Canberra is slightly colder at night with lows of 14°C. Wrap up your sightseeing on the 8th (Sat) to allow time to travel to Arthurs Seat. Arthurs Seat is a hill and locality on the Mornington Peninsula, within the Shire of Mornington Peninsula, about 75 km south east of Melbourne, Australia. 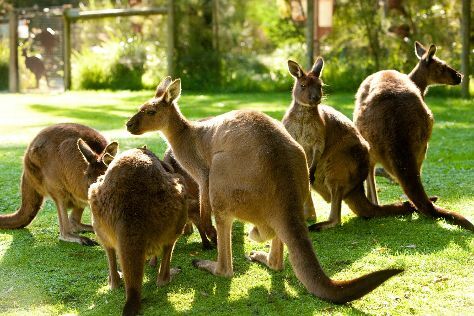 Start off your visit on the 9th (Sun): kick back and relax at McCrae Beach, then admire the striking features of Heronswood, then tour the pleasant surroundings at Cape Schanck Boardwalk, and finally admire the natural beauty at The Enchanted Adventure Garden. For maps, more things to do, other places to visit, and more tourist information, use the Arthurs Seat visit app . The Route module can help you plan travel from Canberra to Arthurs Seat. When traveling from Canberra in December, plan for slightly colder days in Arthurs Seat, with highs around 28°C, while nights are about the same with lows around 15°C. Cap off your sightseeing on the 9th (Sun) early enough to travel to Warburton. Warburton is a town in Victoria, Australia, 72 kilometres east of Melbourne's central business district. On the 10th (Mon), appreciate the views at Healesville Sanctuary. To see where to stay, maps, traveler tips, and other tourist information, read our Warburton route builder . Traveling by car from Arthurs Seat to Warburton takes 2 hours. Traveling from Arthurs Seat in December, expect slightly colder with lows of 11°C in Warburton. Wrap up your sightseeing by early afternoon on the 10th (Mon) to allow enough time to travel to Wodonga. Wodonga is a city on the Victorian side of the border with New South Wales, 300km north-east of Melbourne, Australia. To see photos, other places to visit, ratings, and other tourist information, read Wodonga trip planner. Drive from Warburton to Wodonga in 4 hours. Plan for a bit warmer temperatures traveling from Warburton in December, with highs in Wodonga at 35°C and lows at 17°C. On the 11th (Tue), you're off tohome.